It is tempting to hit Slovenia’s main attractions, like Ljubljana, Bled, the Školjan Caves, or Koper. But in doing so, one might miss the flavor of the beauty of the rest of Slovenia… found in the simpler environment of a small town. I took advantage of the fact that Bled does not have its own train station — I had to get off in the town of Lesce (LESS-tsuh) and take a 10-minute bus ride out. With time to kill after visiting Bled, I decided to wander around Lesce a bit, and a felt a touch of the real Slovenia (much like the time I visited Trencin in Slovakia). 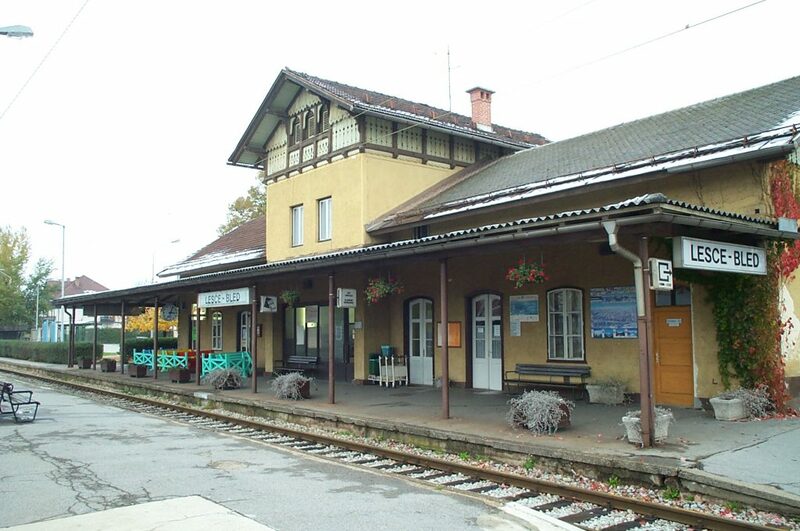 The Lesce-Bled train station, shown above, is actually one of the larger train stations between Ljubljana and the Austro-Slovenian border city of Jesenice (yes-uh-NEET-suh). There is only a single track between the cities, and the Slovenian rail system dedicates primarily its older diesel trains on the route (one ride on a noisy diesel train makes you really appreciate electric ones). Many of the towns on this route have a mix of buildings that have been renovated since independence and those left untouched from the Tito regime. Of those that have been renovated, I found it interesting how many were repainted either white or yellow (usually a mustard yellow like above). On occasion, one will find some variation — I drew a chuckle when I spotted the lone renovated house in Jesenice’s rundown industrial section… it was repainted a bright loud neon purple. 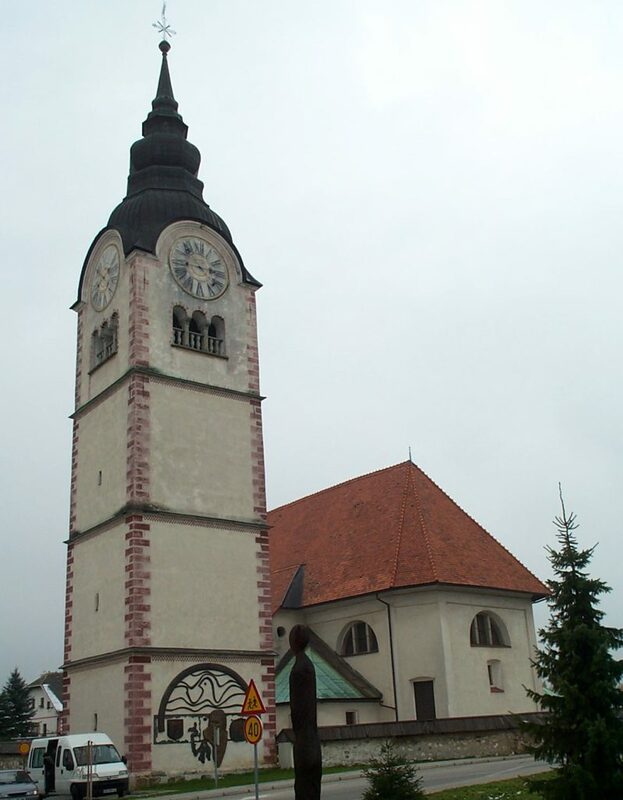 Like many German and Austrian towns, the main church occupies the highest point and its tower figures prominently in the local landscape. Lesce is much the same. 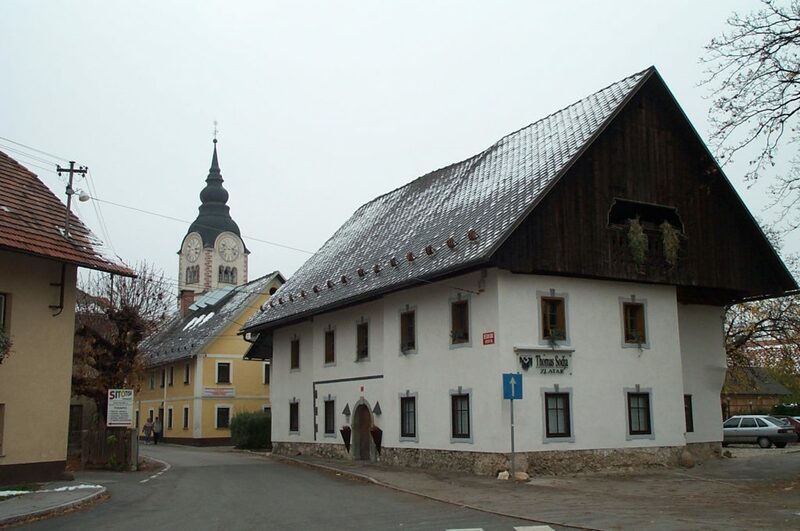 Other similarities — Lesce has a large industrial yard near the train station that employs the local workforce, and the town fervently observes the Sabbath. Also, the townfolk are very friendly. As I sat in the local watering hole waiting for my train back to Ljubljana, I had no trouble engaging in smalltalk with the locals, whose command of English was very good. Although many of the older houses weren’t photogenic, it was clear they were taken care of. 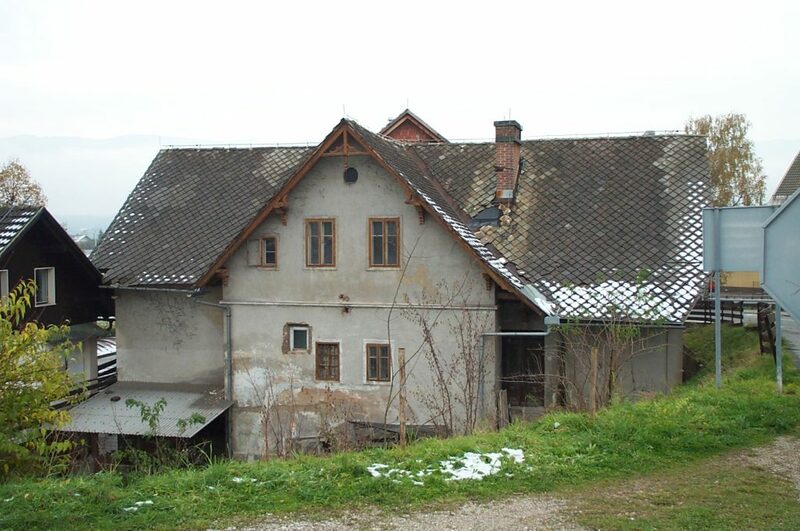 This house was like several old unrenovated houses that have seen a number of patches. But more importantly, Lesce was a clean town, and residents such as the one’s above, kept their property tidy. Although one won’t find the Slovenian flag at every corner (like I found the Slovak flag in Bratislava), I did gain a sense of honest, country-style pride as I walked the streets of this town (as well as in Bled and Ljubljana), and I felt quite safe. A true travelogue, this is not, but hopefully I’ve provided enough insight to the culture to make one feel comfortable doing a little exploring as I have. Certainly, there’s enough to keep one occupied in the main tourist traps, but there’s always more to see, I figure, and I found Slovenia to be a good place to get off the beaten track.